How to become CSE Broker & Make Clients Trade at Low Cost? One can become Calcutta stock exchange low cost member or broker and will be able to make their clients trade under their umbrella of three stock exchanges namely CSE, NSE and BSE. 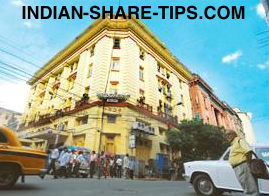 The building of Calcutta stock exchange is a heritage building and thus no outer facade changes can be done. It is a Historic building since 1908 and thus they are contemplating moving to a new complex at Rajarhat which may take some time. (a) 2 years work experience under SEBI broker or any SEBI intermediaries and a certificate required from him. (b) Net Worth for individual and proprietorship is Rs 16 Lakhs and 20 Lakh for a company for which CA certificate and audited balance sheet is required. The amount should be liquid cash and should not be in form of property. (c) Should have infrastructure; minimum 100 Sq feet. (f) Appear for interview conducted by board of directors of CSE. (g) Once approved then the document sent to SEBI for registration as a broker. (a) Low cost brokerage which is Rs 390 per Crore in future segment; Rs 650 per Crore in cash segment and this slab based which become Rs 550 for 7 Crore volume and further becomes Rs 450 per CR above Rs 25 Crore volume. (b) Another benefit is low membership cost which is Rs 4 Lakh for individual trading and if one wants only clients to trade then it becomes Rs 6 Lakh. Out of above amount; 75% is kept in fixed deposit and balance 25% is with exchange which is refundable. Feel free to leave comment and you can check the procedure for becoming a NSE broker or BSE broker here. Through CSE membership; one also has access to NOW trading platform from NSE.